I am a certified matcha addict. I can't remember exactly when my love for matcha started but I usually order one whenever it is available. 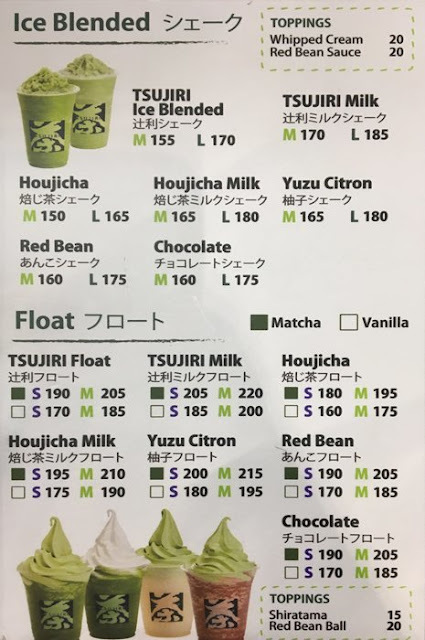 It's one of the most in-thing at the moment that even Starbucks (known for its coffee) now has included matcha on its menu. I cannot pass up the chance to order matcha especially if it's in the form of an ice cream. You can imagine the huge grin on my face when my sister told me all about Tsujiri. We were having lunch at Paradise Dynasty at S Maison when she told me all about the 155-year old Japanese green tea matcha brand originating from Uji Kyoto, Japan. Luckily, the first Philippine branch which opened earlier this year is located at the same level as Paradise Dynasty. No need to travel to Japan! Tsujiri specializes in authentic, premium green tea drinks. 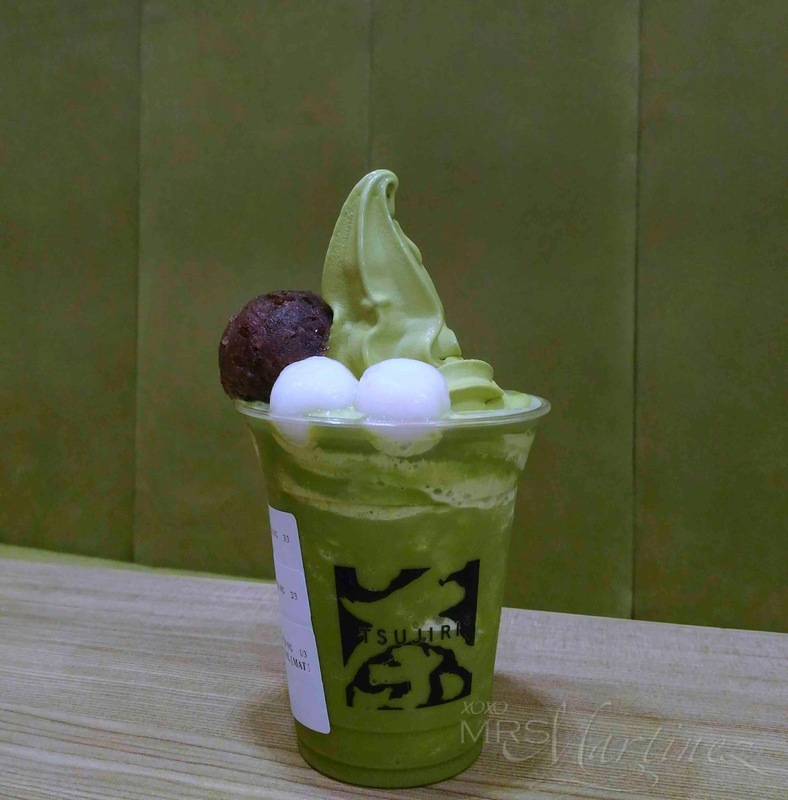 The company is the pioneer in matcha infused desserts like ice cream, cakes and pastries. What's the difference between Matcha and Green Tea? Both are derived from the same plant called Camellia Sinensis. In fact, Matcha is a form of Green Tea. Matcha has more nutrients than Green Tea like Catechins for increased metabolism and physical endurance, Polyphenols, and Amino Acids that can help improve memory. Just recently, Tsujiri opened up another branch in Podium. When I visit, I will have an entire cup of matcha goodness just for myself that's for sure! Tsujiri is located at the 2nd Level, S Maison, Seaside Blvd., Pasay City. For inquiries, please call + 63 2 8164037.